Ramson Lodge - a two bedroom, four guest property with outdoor hot tub. 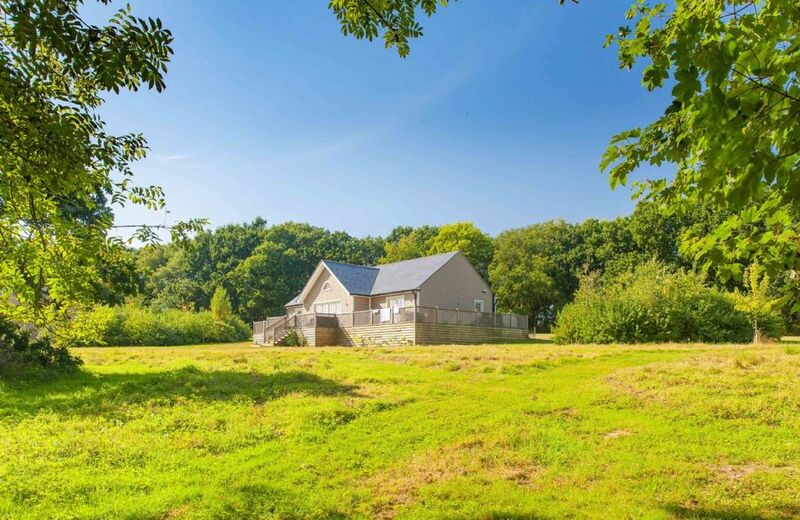 Ramson Lodge is one of five detached luxury lodges which are located in idyllic countryside on the Wakes Hall Estate in the breath-taking Colne Valley on the Essex/Suffolk border. Each lodge boasts a verandah and the ultimate indulgence &ndash; a soothing hot tub, surrounded by 500 acres of land and walks to the village of Wakes Colne. Visitors can enjoy a short amble to the local village where there is a shop and post office and a picturesque pub beside the River Colne that serves locally brewed beer. Local beauty salons provide a full range of services for visitors to the lodges, and for those looking for an extra special treat, we can arrange for a fully trained chef to serve up a delectable feast from the comfort of your lodge. Also available to book through Rural Retreats are Brook Lodge (sleeping two guests); Campion Lodge (sleeping two guests); Endymion Lodge (sleeping four guests); and Woodbell Lodge (sleeping four guests).